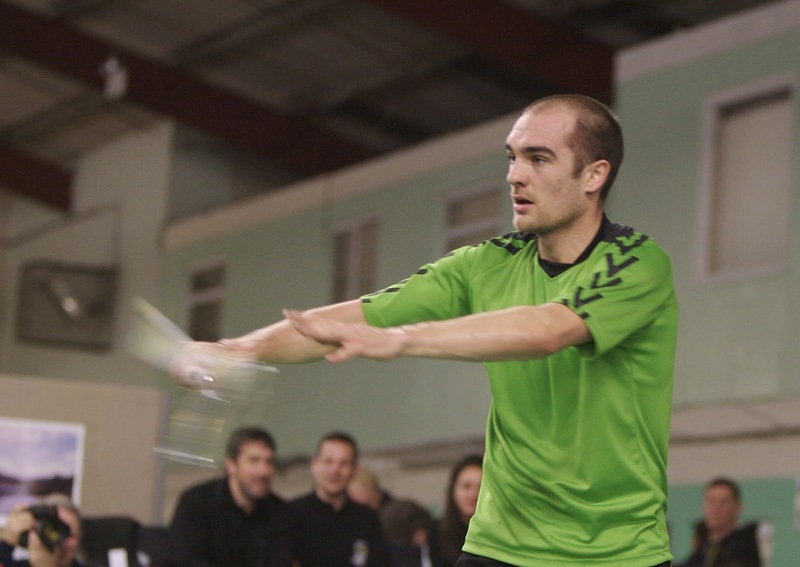 BADMINTON: Irish Olympians Chloe Magee and Scott Evans, along with Sam Magee will represent Ireland at badminton’s World Championships in Guangzhou, China next month – the biggest event on the badminton calendar. Chloe Magee, who is ranked 41 in the world, will compete in the women’s singles. With brother Sam, she will also compete in the mixed doubles; the pair are ranked No 36 in the world. Last month, the trio warmed up for the World Championships with a short Asian tour competing in the Thailand and Indonesia Opens. They travel to China on August 3 after a month of intensive training. The draw for the event takes place on Monday week – July 22. TUG OF WAR: Lakehill from Co Mayo retained their 680kg title at the third round of tug of war’s National Championships held in Geevagh, Co Sligo. In the final, Lakehill beat old rivals Boley from Co Wexford. Rockies from Co Cavan was third, while Boyneside from Co Offaly got the better of the Burren from Co Clare to win division 2. Boley can never be discounted and in the 580kg final, they beat the Burren, with Lakehill third. An all-Leinster division 2 decider saw Boyneside defeating the Valley from Co. Westmeath. In the opening round of the youth 6-a-side league, host club Lough Arrow topped the table with Rathkeale second. Balinastoe from Co Wicklow won the second rounds of both the the women’s 405kg and 435kg leagues. All these teams are expected to head for Corofin in Co Clare tomorrow (Sun) where the blue riband event of the season – the men’s national 640kg champions – takes place. Places on the Irish squad for the World Championships later this summer are at stake. TRIATHLON: Con Doherty and Chris Mintern finished first and second in the junior elite men’s race at TriAthlone, with Emma Sharkey finishing 3rd in the women’s junior elite race. Abroad, Olympian Aileen Reid finished 17th in the women’s race at the Kitzbuehel World Tri Series – a 750m swim and 11.5km cycle following by a gruelling 2.5km run up the Kitzbuehel horn. Bryan Keane finished 24th in the men’s race. CANOEING: Odhan McNally of the Wildwater club in Chapelizod in 22nd place proved best of the Irish in the classic men’s race at the the Junior World Wildwater Championships in Lofer, Germany. His time of 10 mins 57.30 secs put him just 46 seconds behind the winner Marcel Paufler of Germany and ahead of all the British paddlers. Craig Cummins finished 30th,Jack O’;Hagan 32nd, and Conor Quinn 37th. SAILING: After winning the Sail for Gold Regatta in Weymouth, England last weeke,d Ryan Seaton and Matt McGovern ar ealready back in action at the Kiel Week in Germany., where sialing started today (Sat) The pair, who are part of the Irish Rio 2016 sqaud, will take on some of the finest 49er class sailors over 19 races in five days in the final regatta before the 49er European Championships in Aarhus, Denmark. In the new Olympic 49er FX female class, Tiffany Brien and Saskia Tidey will also use Kiel ahead of their European Championship debut in Denmark next week.Also competing in Kiel is Laser sailor James Espey in his final regatta of the season after events in Spain, France and the UK. ORIENTEERING: At the World Championships in Finland, Nicolas Simonin was the only irish orienteer to make the final of the classic long distance race after finishing 13th in his heat, with the top 15 going through. In the final Simonin finished a creditable 33rd in 1 hrs 57 mins 13 secs. 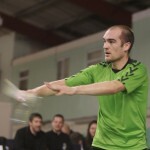 Winner was France’s many times world champion Thierry Gueorgiou who spent some time in Ireland last year. Neil Dobbs missed out on a place in the final by just one place when he finished 16th in his heat. Conor Short finished 25th and Rosalind Hussey 22nd in the women’s heats. None of the Irish made it trhough the sprint event heats, with Niamh O’Boyle 20th and Susan Lambe 21st of the women and Darren Burke 22nd, Josh O’Sullivan Hourihan 24th dn Kevin O’Boyle 33rd, of the men. © 2019 Lindie Naughton. All Rights Reserved.